OMG. This album is AH-MAZING! You have to come to see it and touch it in person. 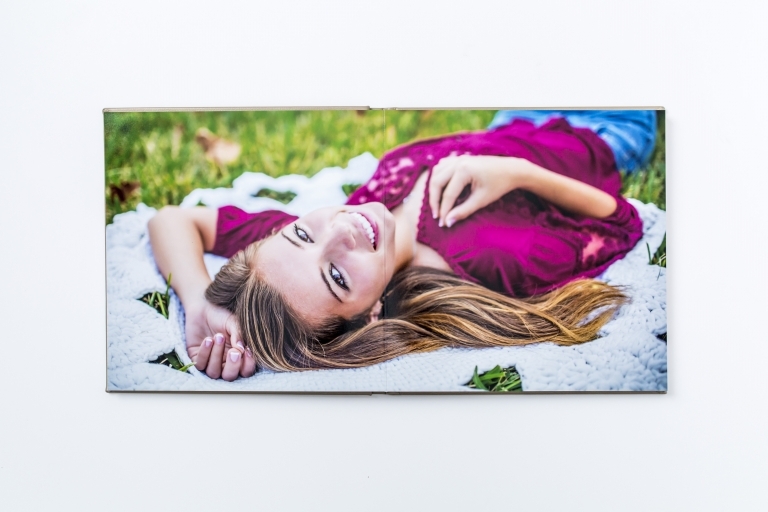 Seniors, this is such a luxurious way to enjoy your entire session FOREVER! 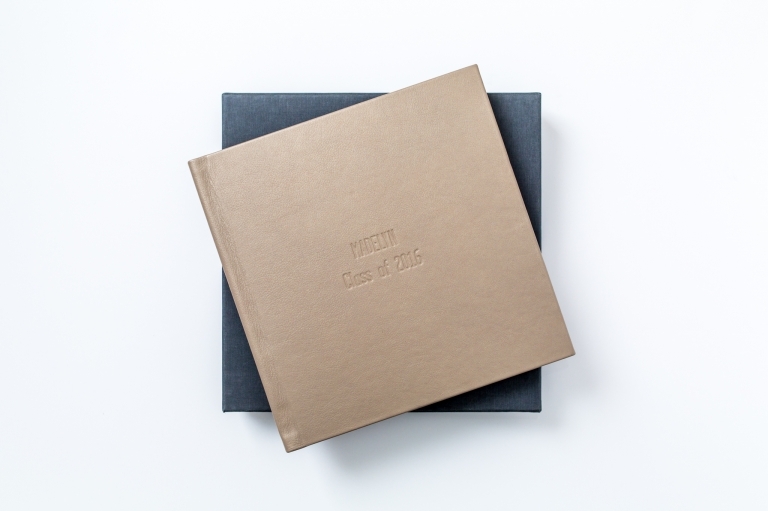 The Senior Album is a 10×10 or 12×12 leather bound album with gorgeous, thick pages. It is a heavy, durable album that comes in it’s own pretty protective box. 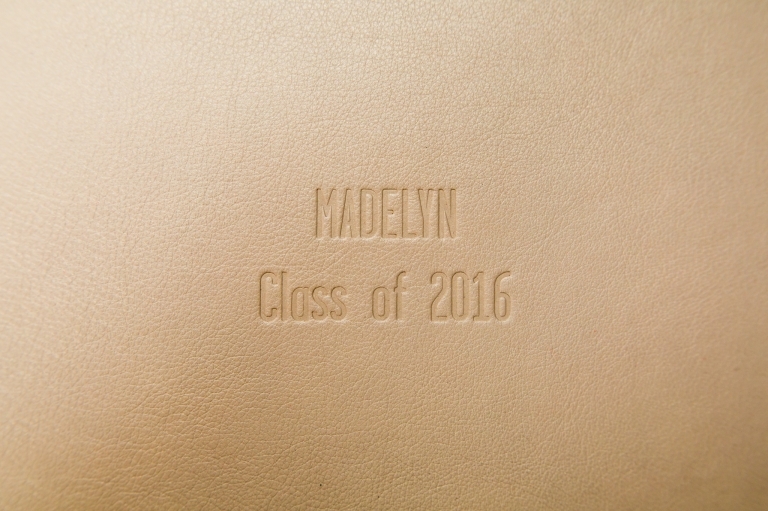 The cover comes embossed with your name and class year. You will enjoy full spread images mixed with multi-image pages, all custom designed for you. When you come in for your Session Consultation and Reveal you can view this album in person so that you can begin to imagine your own session images gracing this album’s pages. *The album shown is a 15 spread album with the Diamond leather cover. Do you want more album options? View the Signature Album.